Can Student Loans Hurt Your Mortgage Approval? If not handled properly, your student loan can hurt your chances of getting a mortgage. Here's why. Your student loan servicer reports to the credit bureaus every 30 days, much like a credit card issuer or auto lender. But you may have a payment deal with your student loan servicer that isn't reflected accurately on your credit report. Let's say you have $80,000 of student loans with one lump monthly payment: $500 per month. The credit report, instead, might list multiple loans from several financers with varying payments that, when added up, show you owe more than that each month. That can be a big problem when it comes time to calculate your debt-to-income ratio — an important barometer of creditworthiness in the homebuying process. Mortgage Tip: Whether you're considering a conventional mortgage or an FHA loan, lenders will include any deferred student loan payments when calculating your debt-to income ratio. When you apply for a mortgage, lenders take into consideration your credit score, your monthly pre-tax income and the aforementioned debt-to-income ratio to determine how much house you can afford and your overall ability to repay. Lenders calculate this ratio by adding the proposed new housing payment (including principal, interest, property taxes and insurance) to any other outstanding debts, such as a car payment, a credit card payment or student loan payment. Generally, banks want a debt load no bigger than 45% of your monthly income, but 36% or lower is considered more financially sound. Misreported student loans can skew your debt-to-income ratio over these thresholds and cause your mortgage to get denied. It can be a good idea to walk your lender through each payment obligation listed on your credit report,. You may be able to get a better idea of what debts they might see by pulling your credit before you go shopping for a loan. You can get your credit reports for free each year at AnnualCreditReport.com and get a free credit report summary from Credit.com to see areas in which you might be able to improve. A better score will also help your qualify for lower interest rates on a mortgage. Keep in mind that lenders are required to use what the credit report shows in their decision-making process, unless a statement can be provided showing the correct payment amounts. If your student loan payments are different than what is being reported — for example, if ABC Student Loan Servicing is reporting a $600 payment per month, but your actual statement involves a $500 monthly payment — you can have your mortgage company perform a credit supplement. A credit supplement is used in the lending industry to verify credit accounts and payments. It can solve any issues arising from the way your student loan servicer reports to the credit bureaus for mortgage qualifying purposes. Without such documentation, the lender will have to take a more conservative approach in underwriting, using 2% of the balance as a monthly payment to qualify. 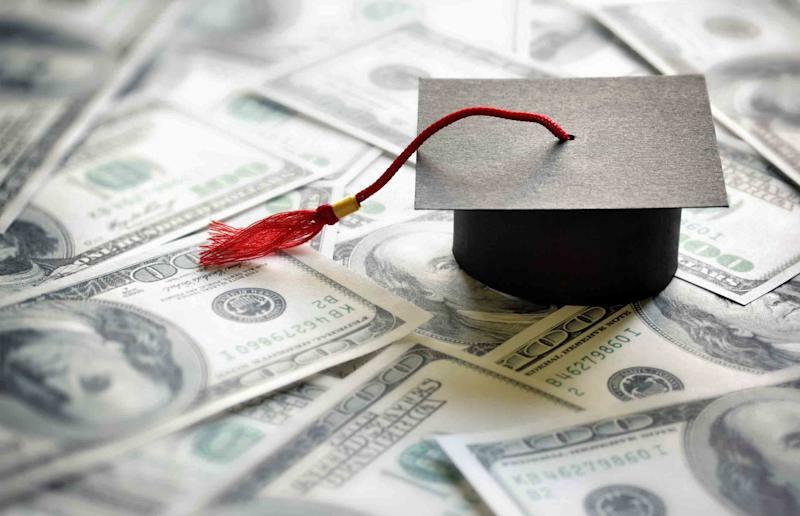 Using our $80,000 student loan balance example above, that approach equates to a $1,600 monthly payment, driving down your buying power substantially.